The most defining moment in my career so far was the critical decision that I made to transition from the corporate environment to the family business founded by both my parents. Whilst completing my master’s degree, I decided to commit to a full-time job in diamond mining at De Beers. I was the De Beers Portfolio Manager under the Anglo American Zimele Fund. My heart resonated with enterprise development, job creation and entrepreneurship. 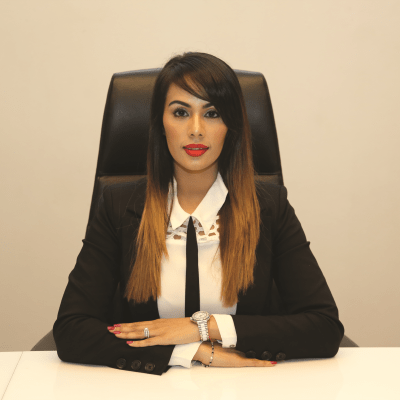 I was always cognisant of the fact that I had a responsibility to join the family business, Shree Property Holdings, which is in the construction, property development and property management industry. I was aware that the timing beckoned closer to me joining the family business and I also knew that once I joined I would never be able to leave or explore the corporate world further. When I joined the family business, I had a strong investment and portfolio diversification focus. I see now that if I didn’t make this crucial decision, I wouldn’t have achieved this much success at a very young age. I was privy to high level decision making. The authority I held provided me with greater exposure in both what I did and the business world. It has moulded my character and I am highly fortunate that I love what I do. I get to spend time with the people I love most. My parents, who are my mentors both in a personal and business sense, have breathed their entrepreneurial spirit into me. It’s been the best decision that I have made in my career thus far. There’s nothing like a family business. Many congratulations on achieving such success over the years.